In April 2015, the US Agency for International Development (USAID) and Janssen Therapeutics officially launched the bedaquiline donation initiative. As part of this initiative, Janssen committed to providing bedaquiline at no cost to 30,000 patients with multidrug-resistant tuberculosis (MDR-TB) over a four-year period. Bedaquiline is the first anti-TB medicine to be approved by the U.S. Food and Drug Administration in more than 40 years and is considered a particularly significant development in the fight against MDR-TB. Georgia was the first country to request assistance from the bedaquiline donation program and required significant technical assistance to introduce this new medicine and active drug safety management. The World Health Organization (WHO) emphasizes active pharmacovigilance in its companion handbook to the WHO guidelines for the programmatic management of drug-resistant tuberculosis (DR-TB) when treating patients with bedaquiline. An active pharmacovigilance regime helps ensure the safety of patients taking new medicines, and an active drug safety management and monitoring (aDSM) system is particularly important for promoting the safe and effective use of bedaquiline. A key aspect of an aDSM system is the early detection and management of suspected or confirmed drug toxicity through active, regular clinical and laboratory assessments of patients receiving new anti-TB drugs, novel MDR-TB treatment regimens, and extensively drug-resistant TB treatment. The Systems for Improved Access to Pharmaceuticals and Systems (SIAPS) Program has worked with national and international stakeholders in Georgia, such as the National Center for TB and Lung Diseases (NCTLD), the National Center for Disease Control and Public Health, the National Drug Regulatory Authority, Médecins Sans Frontières, and the USAID-funded TB Prevention Project, to mobilize all available resources and develop an electronic aDSM system in Georgia. “New drugs like bedaquiline and delamanid, as well as other re-purposed drugs, require active monitoring in terms of pharmaceutical safety. Although phase 1 and phase 2 clinical trials have already been conducted and the phase 3 trials are on the way, the adverse events associated with those drugs are not fully known yet. That is why it is important to have a drug safety monitoring system in those countries that are already using new anti-TB medications as part of programmatic management of drug-resistant TB,” said Nino Lomtadze, Head of the NCTLD Surveillance and Strategic Planning Department. The SIAPS-developed Pharmacovigilance Monitoring System (PViMS) was officially launched on July 6, 2016, in Georgia to monitor serious adverse events for all DR-TB patients and all DR-TB drugs, including bedaquiline. The PViMS was made possible through invaluable support and input from Nino Lomtadze; Eka Kokhreidze; Mari Buziashvili; and Dr. Zaza Avaliani, Director of the TB Center. SIAPS Senior Technical Advisor Parambir Gill and Dr. Zaza Avaliani, Director of the TB Center, signing the memorandum of understanding. The PViMS is a web-based application used by clinicians, regulatory bodies, and implementing partners to monitor the safety of medicines. It makes the implementation of active surveillance activities feasible in low- and middle-income countries by addressing the entire data collection and data analysis process to identify signals for improving the safety of patients undergoing treatment. The PViMS meets all WHO recommendations for an aDSM system and provides countries that are introducing bedaquiline with an easy-to-use electronic solution to the challenge of drug safety monitoring. Because the PViMS data collection form is standardize to WHO recommendations, “it is noteworthy that the established pharmacovigilance system can also be actively used in monitoring of other diseases. The electronic system allows us to assign the patients to different cohorts. 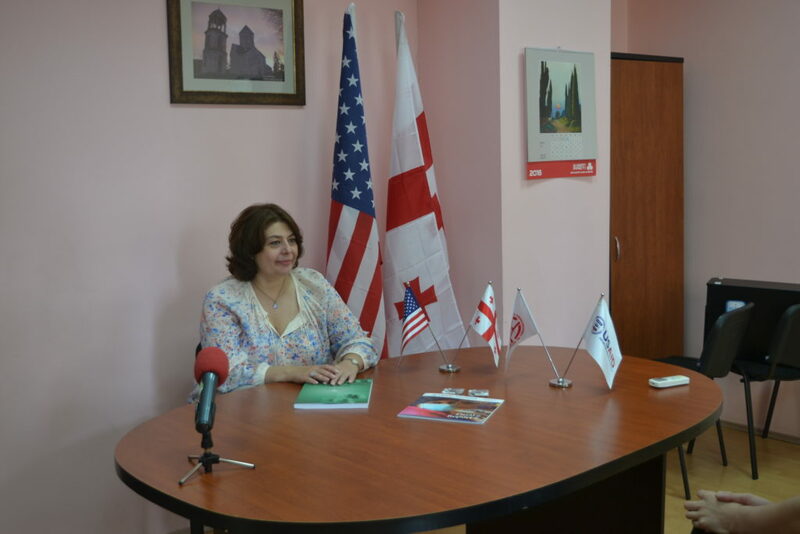 Thus, the system could be also useful for Hepatitis C, AIDS, and other programs in Georgia,” said Nino Lomtadze, Head of the NCTLD Surveillance and Strategic Planning Department. SIAPS Senior Technical Advisors Antonia Kwiecien and Parambir Gill and Dr. Zaza Avaliani, Nino Lomtadze, and Mari Buziashvili of the NCTLD. The PViMS, a centrally deployed and managed application used at the NCTLD in Tbilisi, allows for real-time data collection and processing and supports effective and timely decision-making. Georgia is the first country to adopt this groundbreaking system to support the monitoring of serious adverse drug events. The data collected in Georgia are sent to the WHO global TB program and Global Drug Facility for bedaquiline serious adverse events.